R.W. 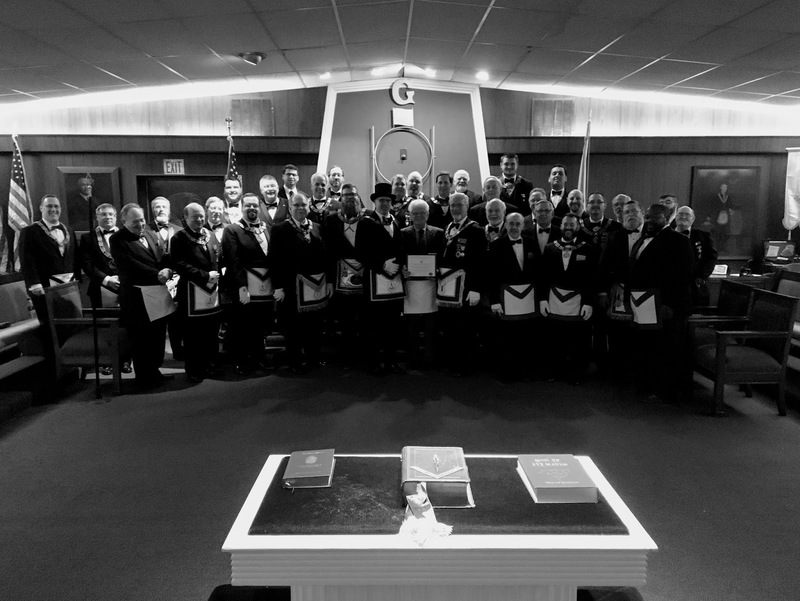 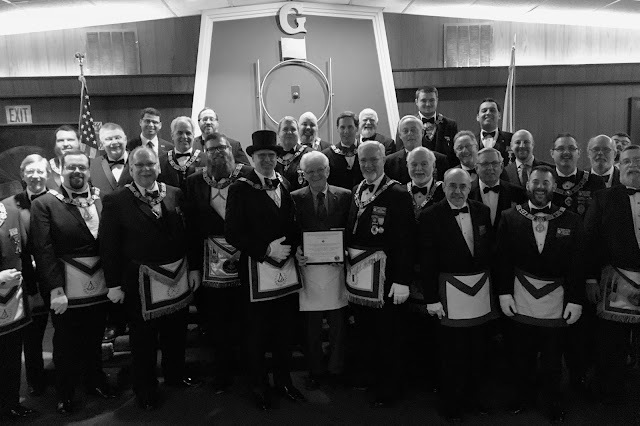 Richard Howarth's first Fraternal visit: Franklin Lodge 24th Jan 2019. 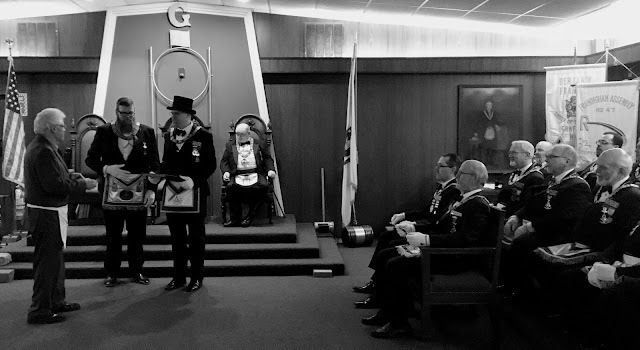 Right Worshipful Richard Howarth and Worshipful John Hermann presenting Bro. Stuart Robertson with his fifty years veteran medal. Right Worshipful Richard Howarth and his suite, Worshipful John Hermann, and members of Franklin Lodge.